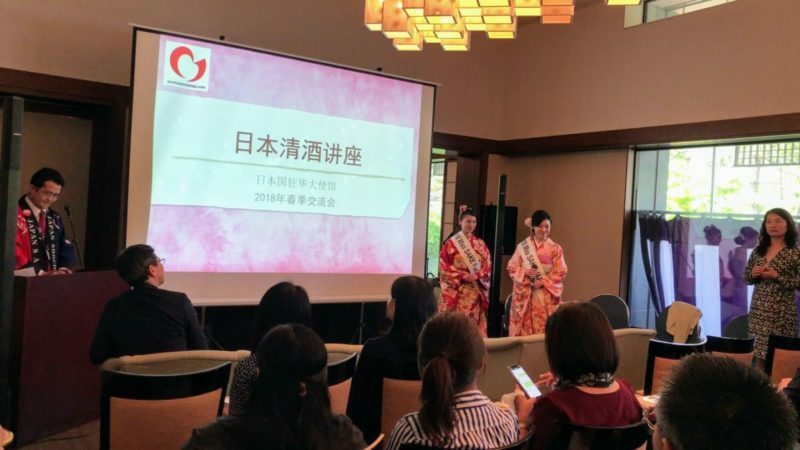 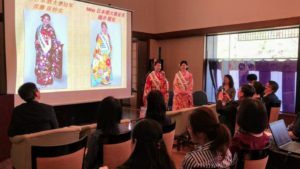 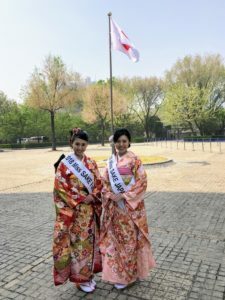 1 On April 26, “A spring exchange meeting” was held at the Japanese embassy in Beijing and Masayo Horii, 2018 Miss SAKE runner up joined the event with Miss Asami Sudo 2018 Miss SAKE. 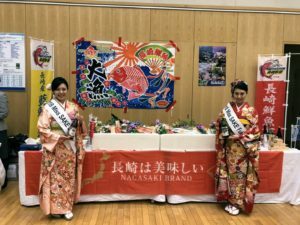 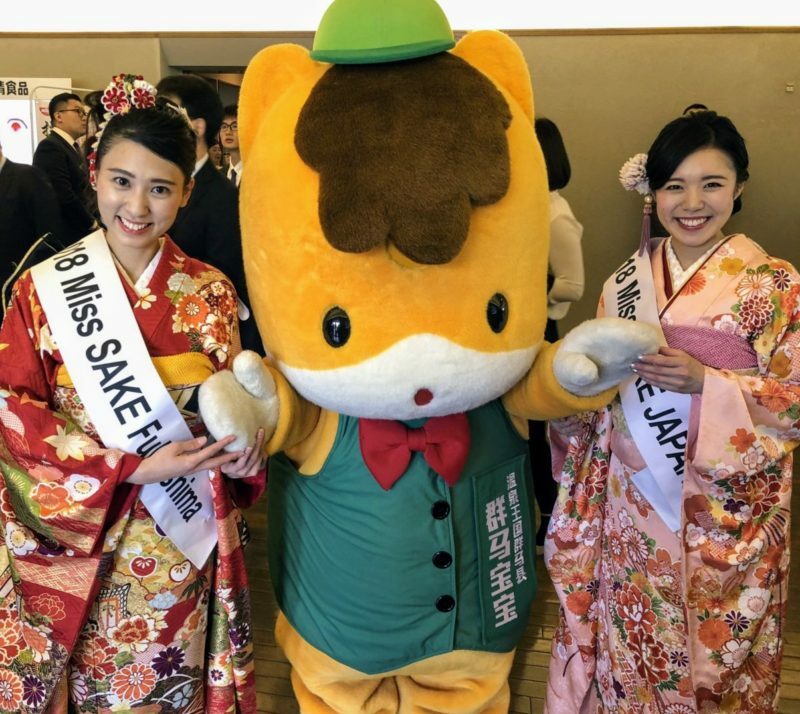 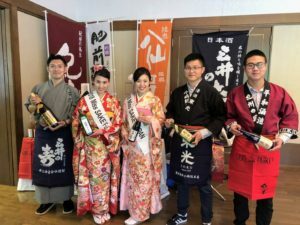 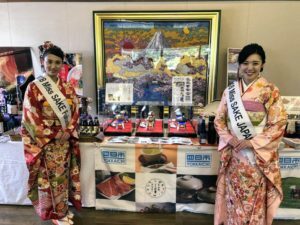 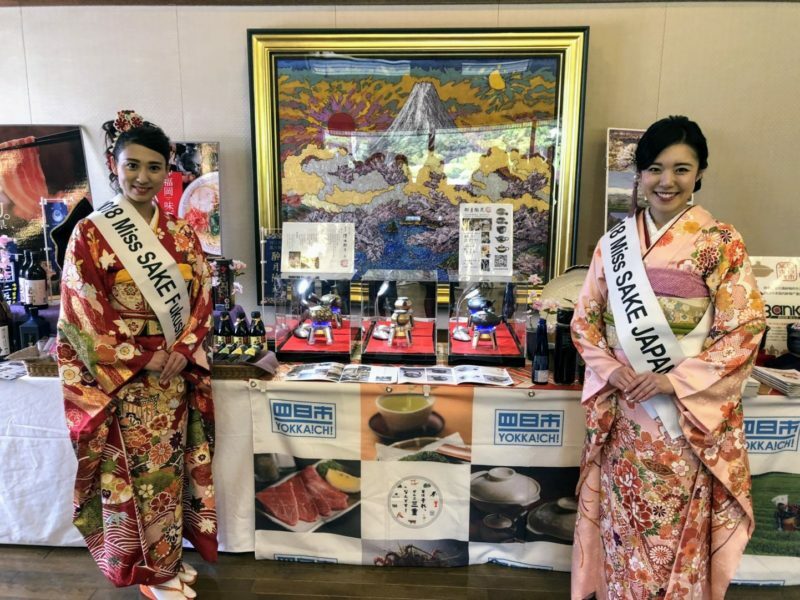 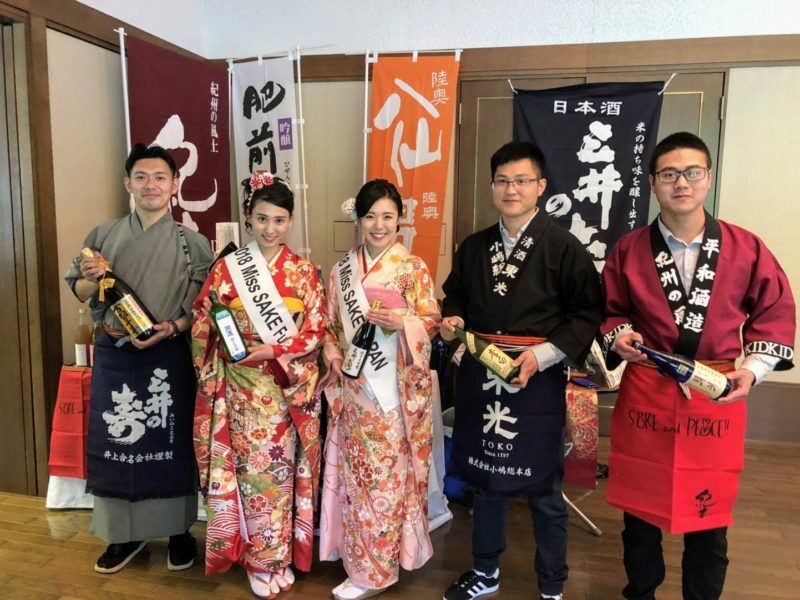 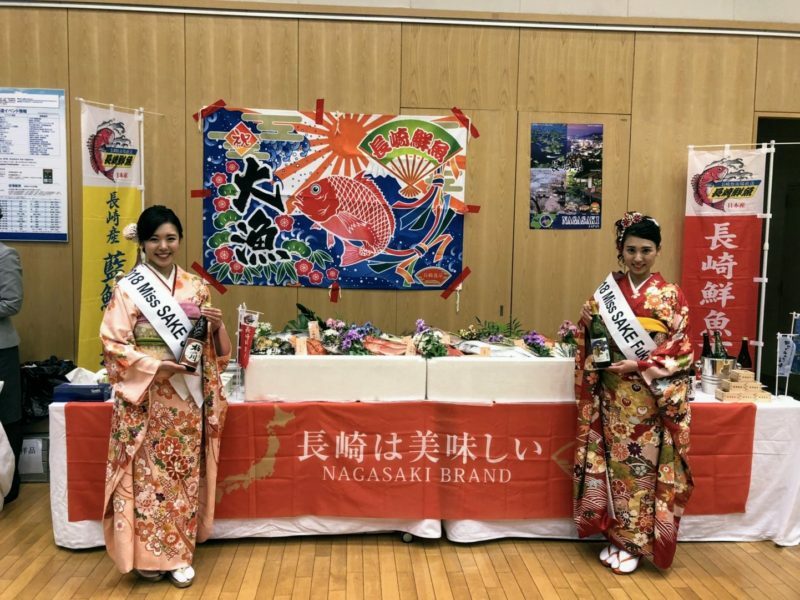 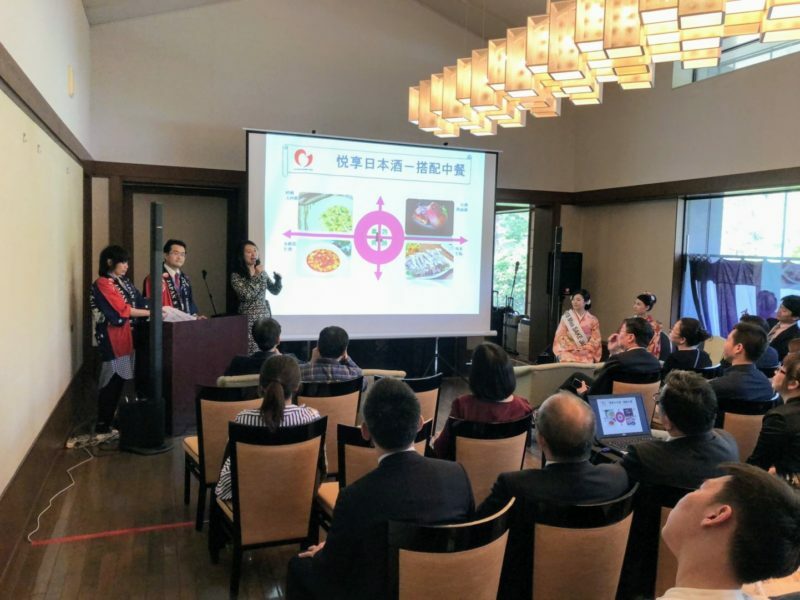 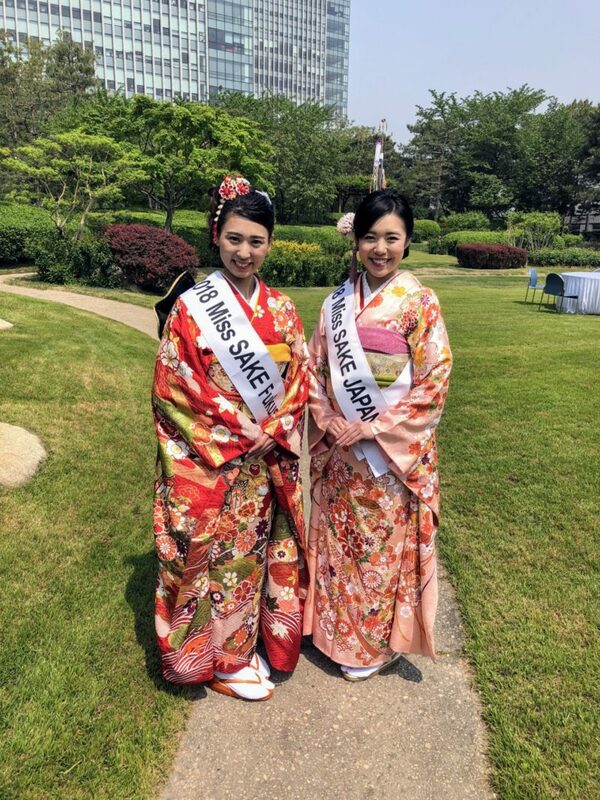 On April 26, “A spring exchange meeting” was held at the Japanese embassy in Beijing and Masayo Horii, 2018 Miss SAKE runner up joined the event with Miss Asami Sudo 2018 Miss SAKE. 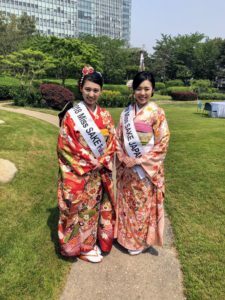 This is Masayo Horii, 2018 Miss SAKE runner up and also 2018 Miss SAKE Fukushima. 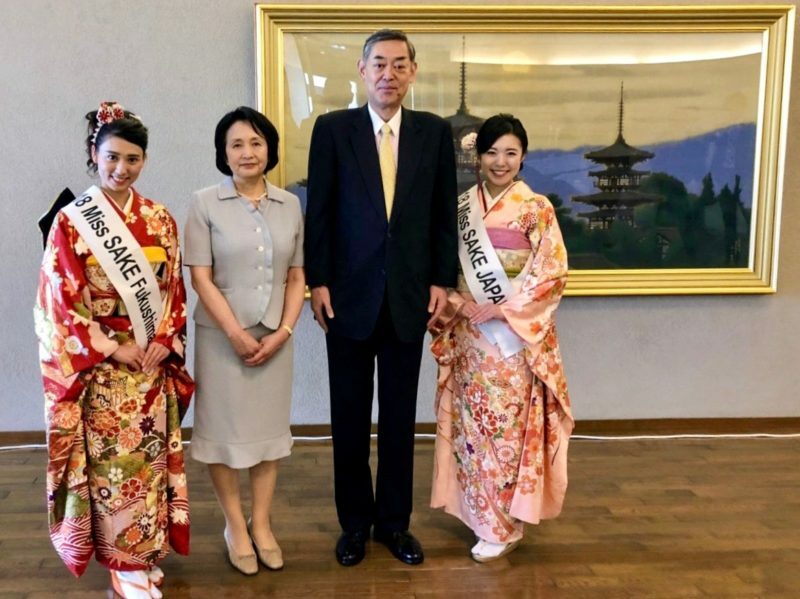 On April 26, “A spring exchange meeting” was held at the Japanese embassy in Beijing and I joined the event with Miss Asami Sudo 2018 Miss SAKE. 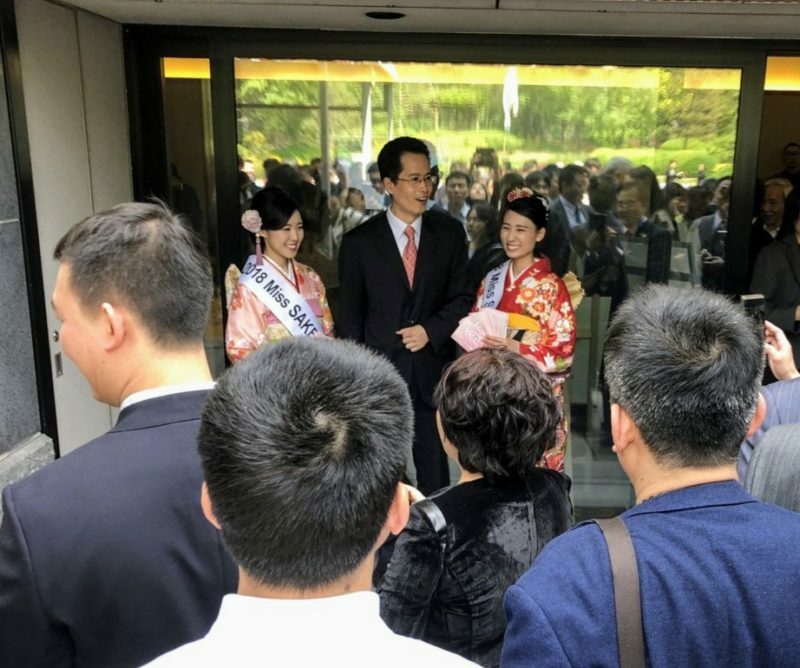 This event was held as a part of the commemorative event of the 40th anniversary of the Treaty of Peace and Friendship between Japan and China. 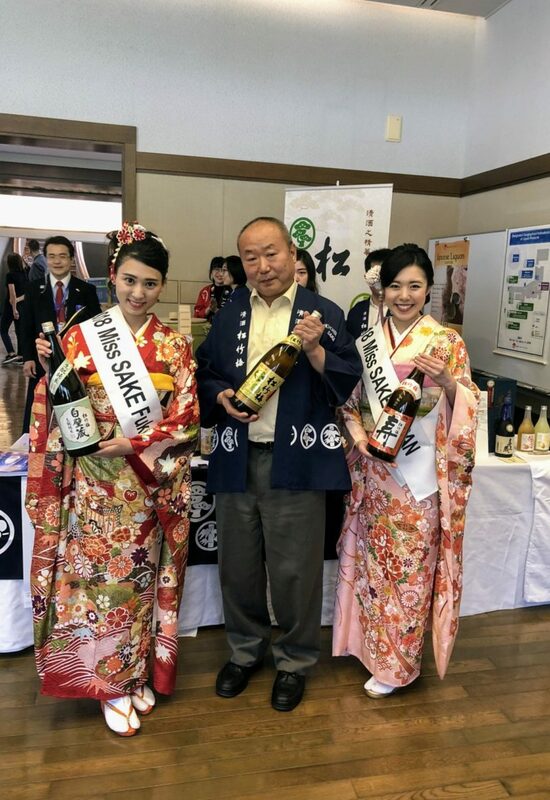 Japanese rice, sake, food was served at many booths. 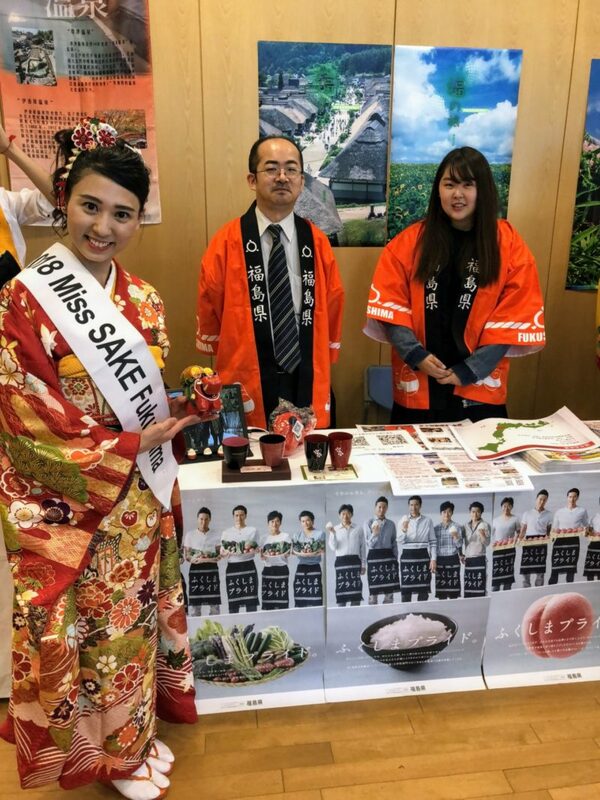 Especially the products of the Fukushima booth were popular among visitors. 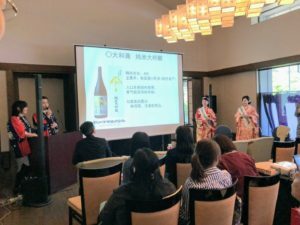 I participated in a Japanese sake lecture. 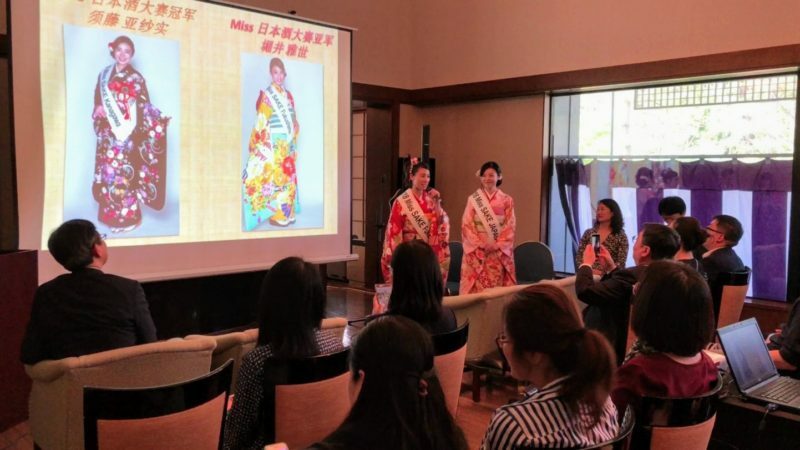 The lecture of Mr. Deguchi and Ms. Liu was very interesting and I also learned a lot. Seven years ago, when the Great East Japan Earthquake occurred, we had a lot of support from China. 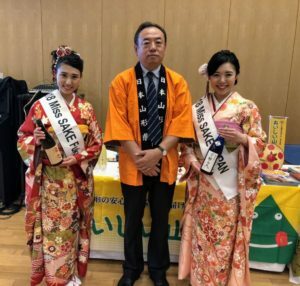 I thanked the audiences for the revival of Fukushima. 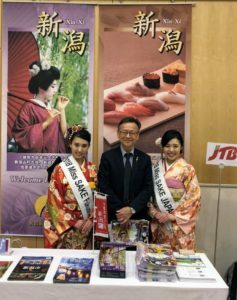 We met many people who are active in various fields. 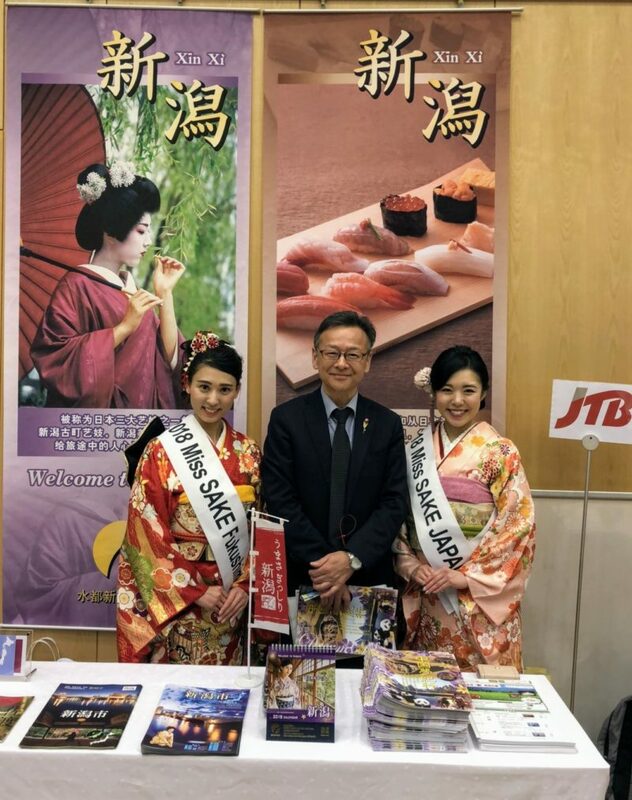 Fortunately we also met Japanese Ambassador to china, Mr. Yutaka Yokoi. I will do my best to be able to strengthen the bond of friendship between Japan and China. 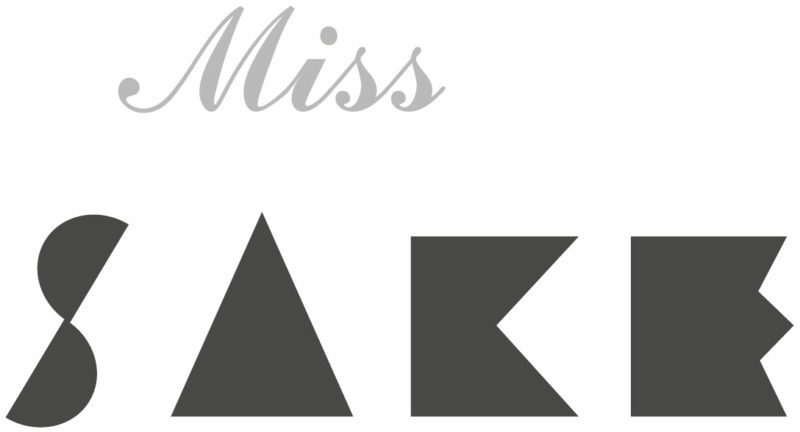 From the bottom of my heart, I am most grateful to have been given this opportunity.